Social media was one of the hottest topics of 2012. Unfortunately, many people believed that just pursuing social media would get them more prospects. Of course, they were almost always disappointed when that strategy fell. The simple fact is, without a strong inbound marketing campaign behind you, social media marketing is useless. In recent posts we’ve discussed how to strengthen your website and improve your blog. For the final part of our series on developing your marketing plan for 2013, we look at how to bring in more customers through successful social media marketing. Maintaining an active and enthusiastic social profile can help you get the word out about your best content. It brings existing customers back to your website and helps new ones find you. But the best Calgary social media isn’t about joining every social networking site and posting constant updates, it is about building a reputation as a trusted leader and building enthusiasm for your brand. Success in social media can be hard to judge. By setting measurable and actionable goals you have a greater likelihood of tangible results. Getting more fans on Facebook or more followers on Twitter might improve your social presence, but how does that translate into enhancing your business? We believe the best Calgary social media is about engagement. Create goals that focus on bringing users to your website again and again. Last year, 55% of consumers said they followed companies through social media to learn about new products, so be sure to set goals that help you generate interest in new products and services. Leads – How many actual leads were generated? Break this down by each social network. Referral traffic – How many referrals did you receive? Engagement – How many comments, likes, retweets, or repins did you get? Feedback – Are you paying attention to what your followers have to say? Customers want to know you value what they have to say. Tone – Was the engagement you had generally positive or negative? If it was negative, how can you improve it? Time and day – Do you get more positive responses at different times of the day? Are some days more effective than others? Frequency – Would increasing or decreasing how often you posted bring in more leads? Post response – What were your most and least successful posts? You should also use your social data to determine which members of your audience are the real influencers. These are the people with large social followings who mention your business, services, and products. Make sure your plan includes ways to build an even stronger relationship with your influencers. Use social media to put a trustworthy face on your company. Recent data from Forrester showed that 32% of people trusted the opinions of strangers in a forum or blog more than a company’s advertising and marketing. Social media is your opportunity to be seen as a different kind of company. Reward your followers with high quality content, but remember you don’t always have to be too serious about it. Promote your brand with contests and games. Although social media channels offer an excellent opportunity to provide great (and public) customer service, it is also important to let your fans know you care about more than money. Show your company as a socially responsible brand that gives back to the community by using social media to promote charities or sponsor local events. Done well, social media can improve customer engagement, develop your brand online, and grow your audience. With the right plan, built on a foundation of a well-designed website and a blog that is frequently updated with high quality content, Calgary social media is the final piece that helps you see the big picture of your marketing puzzle. 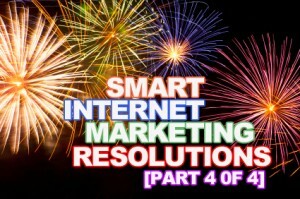 PreviousPrevious post:Smart Resolutions for Better Calgary Internet Marketing in 2013 [Part 3 of 4]NextNext post:Emphasize Design’s Inbound Marketing Team is Growing!